Looking for a Cute Christmas Treat? 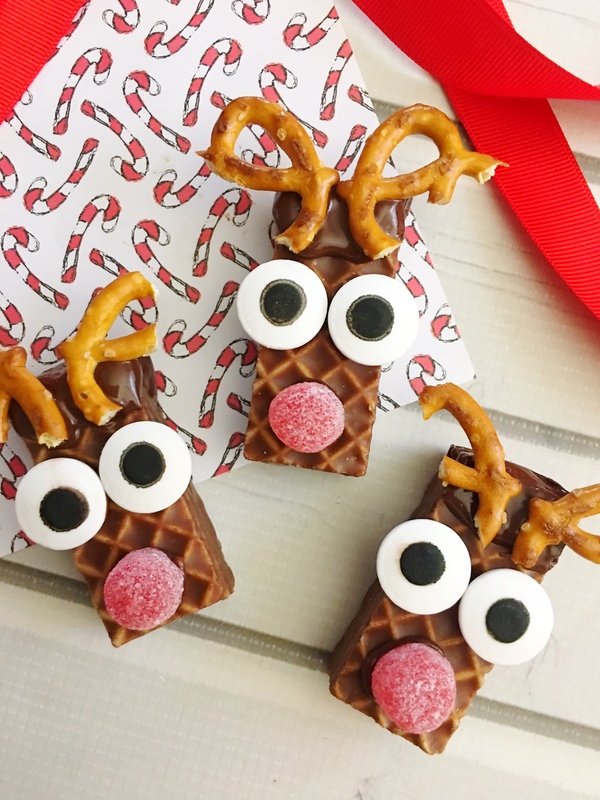 These Rudolph Nutty Bars are a tasty Christmas treat that are perfect for a class party or for dessert at a get together. 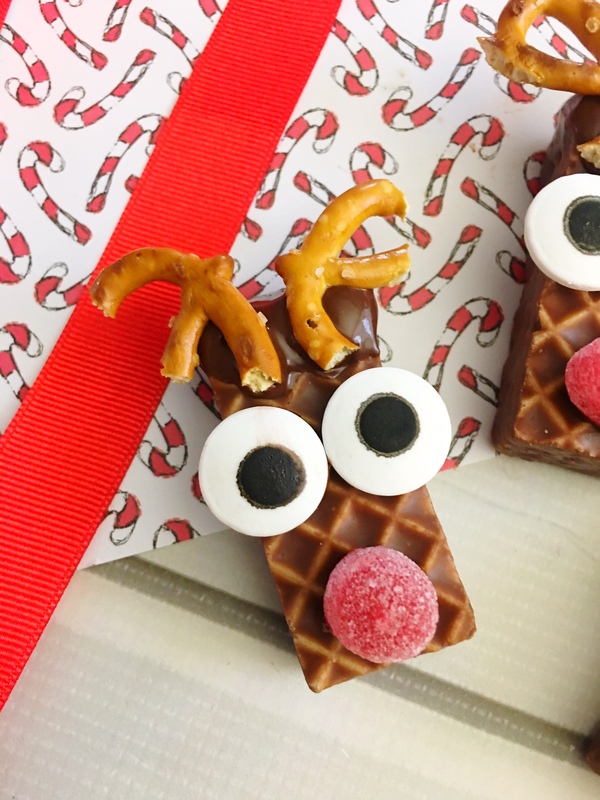 These Rudolph Nutty Bars are cute to send in for a school party or to make for a get together. 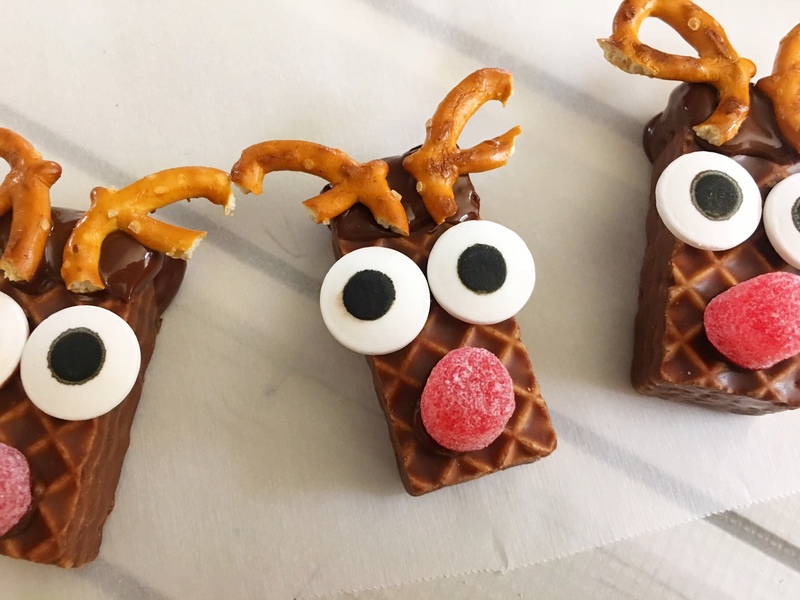 With just a little prep work, take a store bought treat and turn it into a cute Christmas treat. How could this not put you in the Christmas spirit. I have trouble finding the candy eyes at my local store. I prefer to buy them online. The Christmas treat comes together in a few minutes. It doesn’t take long to make a treat that will get lots of oohs and ahhs. 1. Lay out a piece of parchment paper and heat a 1/2 cup of chocolate chips in the microwave on 50% power for 2-3 minutes, stirring every 30 seconds until melted. 2. Cut your Nutty Buddys in half and dip the rough end into the melted chocolate and set onto your parchment paper. 3. Break a pretzel in half to look like antlers and stick them onto the melted chocolate top. 4. 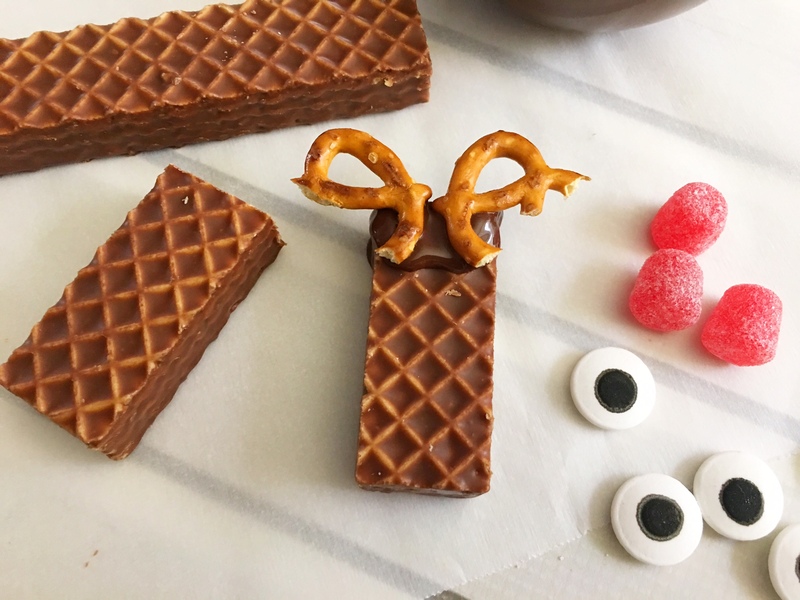 Dip the back of the candy eyes into the melted chocolate and onto the front of the Nutty Buddy below the antlers. 5. 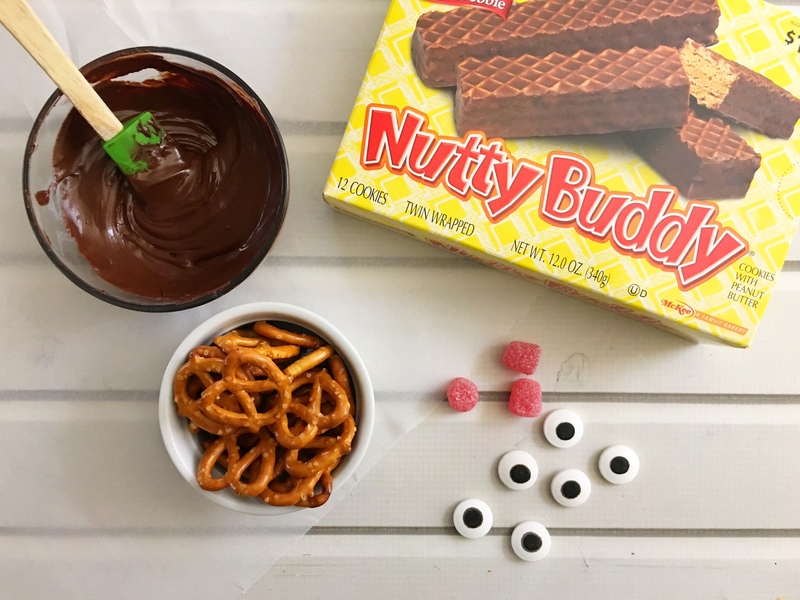 Dip the bottom of a red gum drop into the melted chocolate and onto the bottom of the Nutty Buddy. 6. Let your chocolate harden back up and enjoy! These are so adorable! My kids would love those. These would be a good snack to take to a party. these are so cute. I think the kids will love making them. These are adorable!! My grandsons would love to help me decorate and make these! Adorable! I bet you could make these into bunnies for Easter! Maybe almond sliver ears and a marshmallow tail? I love that this whole thing is edible. Love nutty buddies!